Our biminis are custom designed and fitted precisely for your vessel. Biminis are a necessity for any time on the water. An 11′ Whaler or 160′ custom yacht both desire protection from the harsh sun. 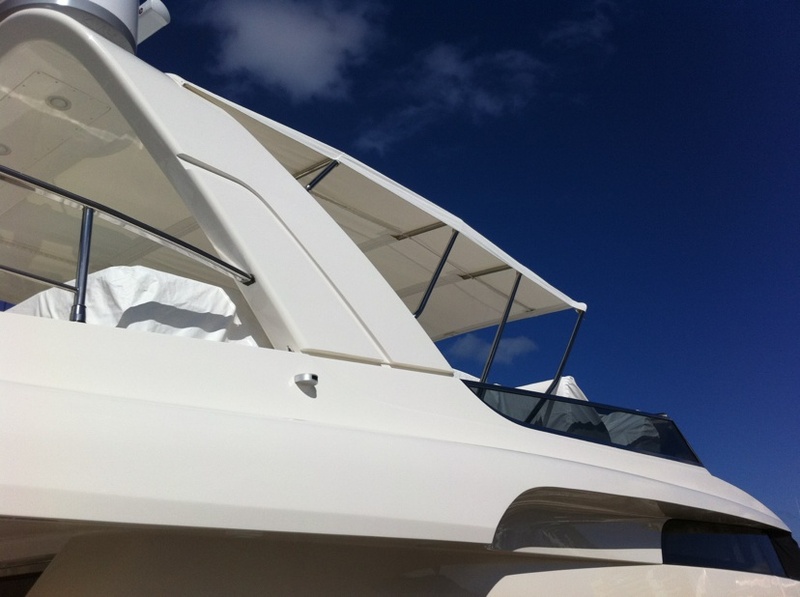 At Admiral Canvas, we design, manufacture and install the purest and most functional bimini tops. We use 1 inch to 2 1/2 inch stainless steel in our custom framework. There is a wide choice of covering fabrics to insure your top will be unmatched in quality, functionality, and innovative design. Your bimini top can be covered with the latest selections and colors from manufacturers like Sunbrella and Weblon. Admiral wants to furnish you with the perfect top. Custom automated biminis not only offer ease of use, but increase the flexibility of your vessel. Each automated bimini is an individually design product made from your specifications.